After a hit run at the Menier Chocolate Factory, Patrick Marber’s storming revival of Tom Stoppard’s 1974 play gets a welcome West End encore. The triumph of this production is the way it honours Stoppard’s dazzling intellect while also going full throttle with the piece’s playful, sometimes bonkers wit. 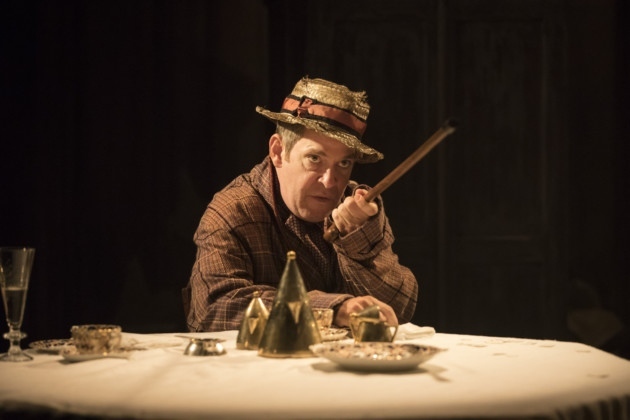 This entry was posted in Journalism, Theatre and tagged apollo theatre, first world war, james joyce, lenin, london, patrick marber, review, the importance of being earnest, theatre, tom hollander, tom stoppard, travesties, west end. Bookmark the permalink.